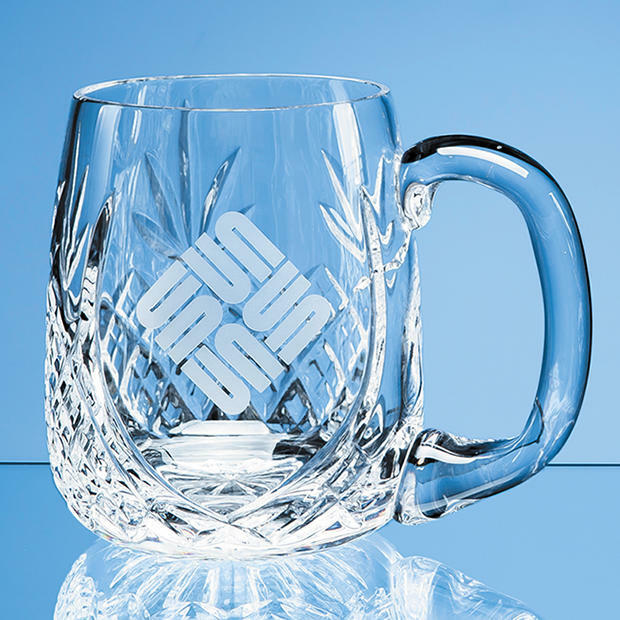 Cut Lead Crystal Glass Barrel Shaped Tankard , Personalised Cut Lead Crystal Glass Barrel Shaped Tankard, Engraved Cut Lead Crystal Glass Barrel Shaped Tankard, 0.595ltr, with a sloping panel for your personalisation. corporate event or sporting occasion. Ideal for wedding gifts and birthday gifts.